Microsoft Security Essentials (MSE) is a simple antivirus, anti-malware, and anti-spyware software from Microsoft that provides real-time protection for your computer against viruses, spyware, and other malicious software. Microsoft Security Essentials is free for home users as well as small and medium businesses with up to 10 PCs. Microsoft Security Essentials runs quietly and efficiently in the background and schedules a scan when your computer is most likely idle. You only see alerts when you need to take action. Moreover, it doesn't use a lot of system resources, so it won't get in the way of your work or fun. 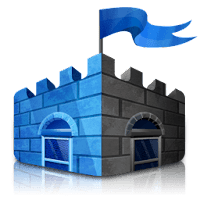 Disclaimer: Direct downloads for the lastest version of Microsoft Security Essentials 4.10.0209.0 are provided by the official software's author, we can't guarantee safety, availability or download speed. Moreover, we don't and we won't provide any pirated/illegal versions or tools. We recommend you to avoid it as these methods can harm your device. If you like the software, buy it to support the developers. (We provide software discounts for many worldwide brands).